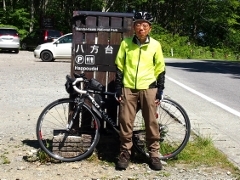 Today, as a back home route, I left Aizutajima and climbed the long hill from Shimogo to Kashi Tunnel and the goal today was Shinkashi Onsen. 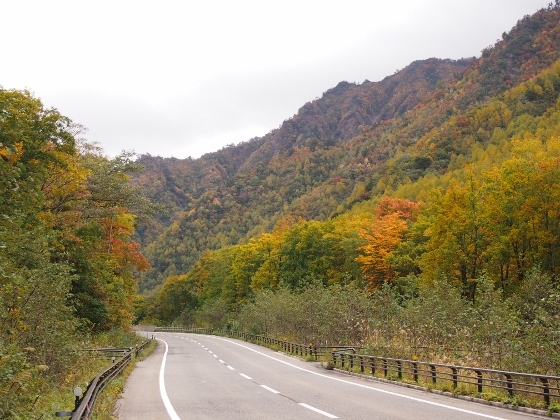 Since I could go through the Kashi Tunnel by around 10:30 am, I stopped at Kashi Onsen. 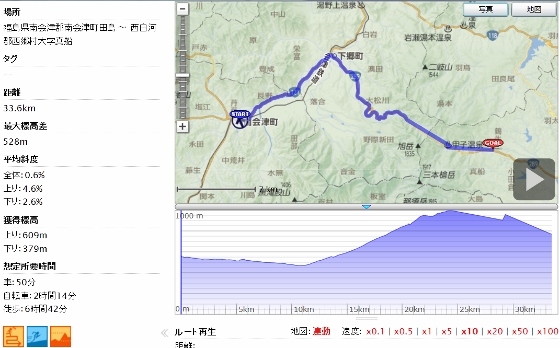 There was the Road Station Shimogo which I referred to before at about 80% of the climb. To supply the energy I tried the milky soft ice cream as shown in the picture above, and this was delicious. 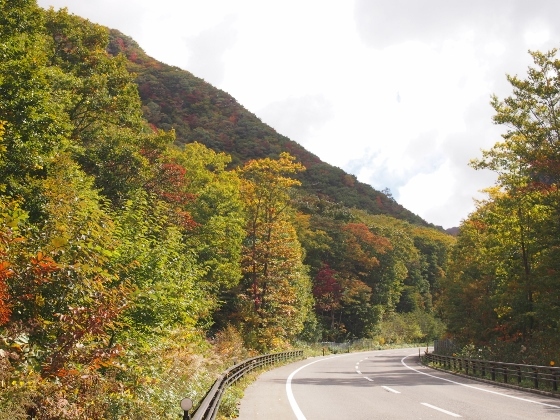 Three pictures show the views along the uphill road towards Kashi Tunnel. 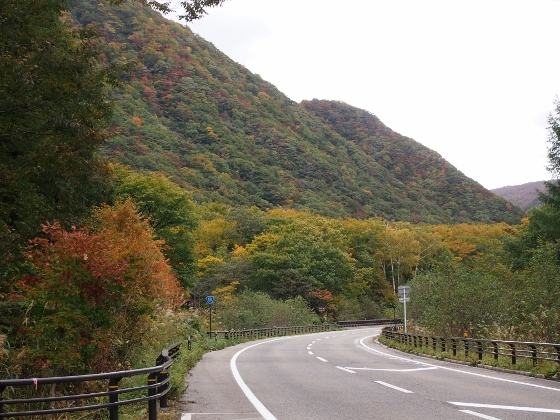 The autumn red was going ahead. 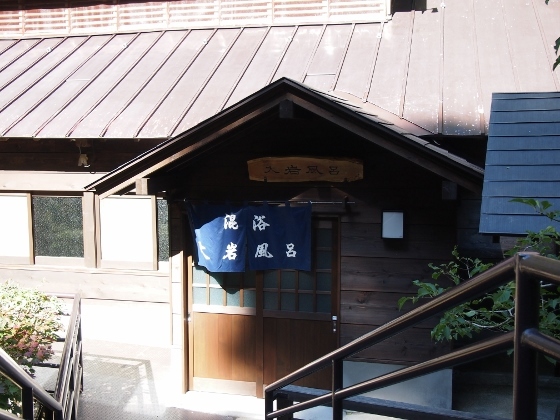 After going through the Kashi Tunnel and just before the next Anshinzaka Tunnel, there was a branch road to Daikokuya Inn which was the only inn of the Kashi Onsen, and which was also a member of the Japan Association of Secluded Hot Spring Inns. I stopped here. The first picture shows the entrance. The second one shows the path to the giant rock bath which was located near the river, and the third picture shows the entrance for the giant bath. This giant rock bath was so huge that I remembered the famous bath for a thousand people of Sukayu Onsen. 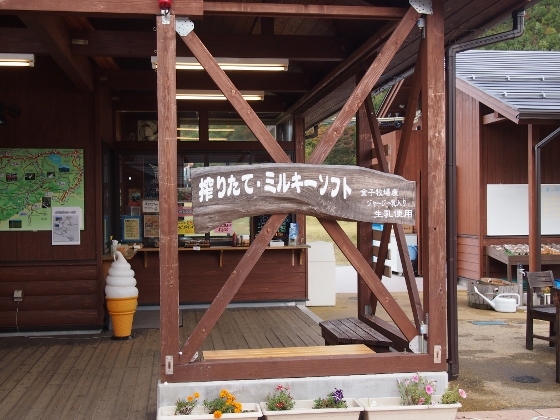 The hot spring was simple spring with ordinary temperature. It was a spring just pouring out naturally, thus being very fresh and wonderful. 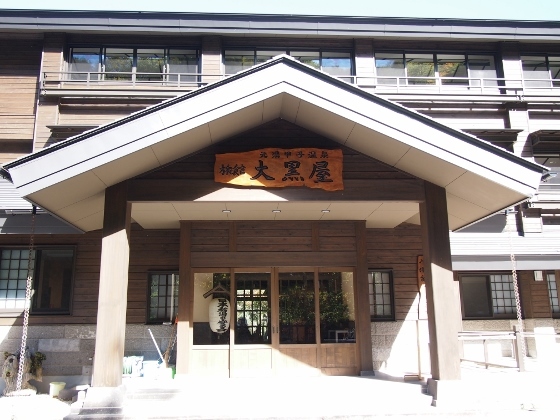 I stayed at Miyama Inn of Shinkashi Hot Spring today. 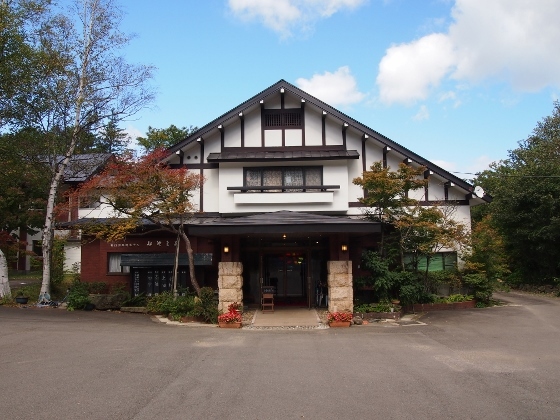 This was the sister inn of Gohousou Inn which I stayed last week. 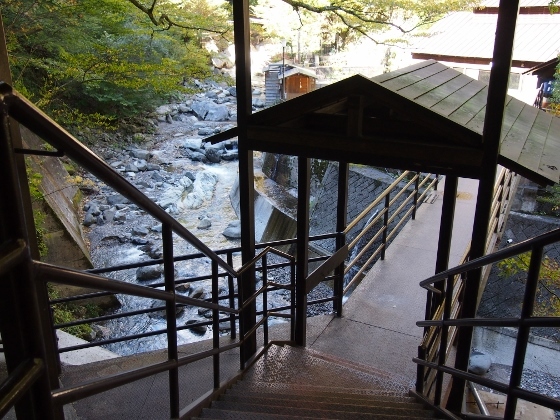 The spring was sulfate spring which was completely different from the Kashi Onsen.